We take fresh, California strawberries picked at peak season and flash freeze them to lock in their flavor. These succulent berries are rolled in our special sugar essence to sweeten them up just a bit more and help release their natural juices. The result is a sweet cordial liquid that you’ll find in every piece. We swathe these luscious gems with two thick layers of chocolate. 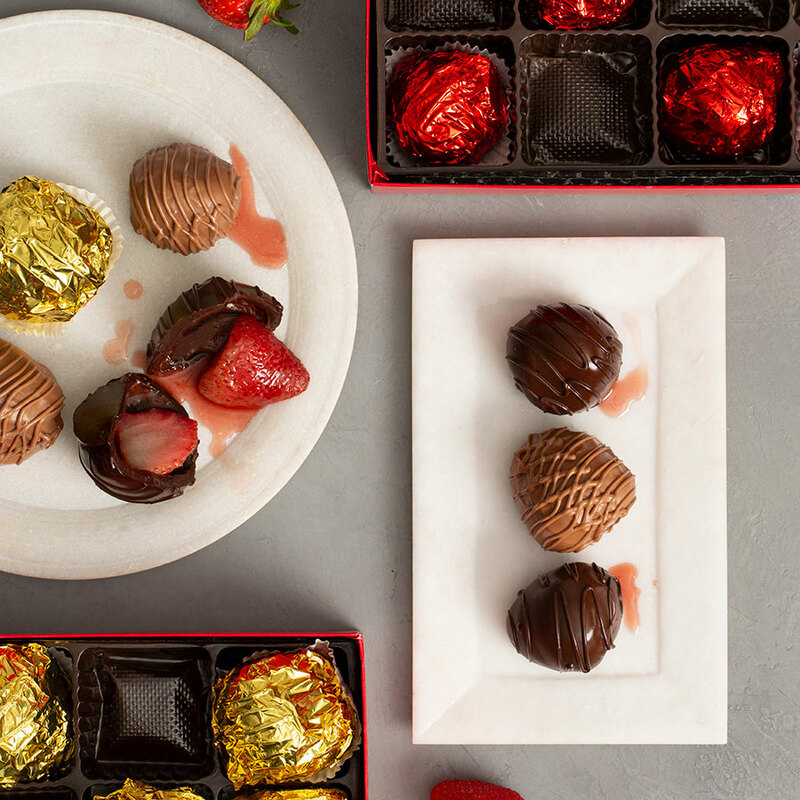 Each indulgent strawberry is then tucked inside a blanket of delicate foil. Pre-order for delivery on or before Mother's Day. Strawberries will not begin to ship until May 7th. Please place each box of strawberries in freezer immediately upon receipt. Strawberries must be enjoyed within 4-5 days after removing from freezer and can be kept frozen for up to two weeks.